A husband believes himself culpable for the murder of his wife. He is also convinced of his affair with another woman. But he simply can't persuade a police officer to believe either. Richard Mulligan is probably most famous for his sitcom work on "Soap" and "Empty Nest." Mystery drama, with questioned supernatural happenings. A guy calls his good friend, a detective named Faraday (a tribute to Boston Blackie, perhaps? ), and tells him that he has just murdered his wife. A strange tale ensues in which he tells about going back in time to have an affair with his wife - as she was when they first met. The title really has nothing to do with the plot. Nobody dies "again," just once. Had some creepy moments, though. 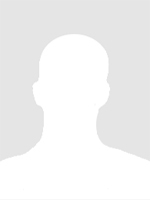 A man confesses to killing his wife, Margaret. This murder was made in a fit of passion because Margaret had learned of his true love, Peggy. The twains meet in a so-so story. A man is convinced that he murdered his wife. he is also convinced that he has been having an affair with another woman. However, he can't convince a police detecitve of either. The story is convoluted and difficult to follow. The story of a man who appears to be living in two worlds, with two different women, with two different lives, each one apparently separate and distinct from the other. When the two worlds start to collide all those involved struggle to understand. A confusing episode that benefits from a second listen. Lots of hops from one world to the other, one time to another. A real thinker! Life definitely changes you, but generally so gradually over time that you don't notice... until you look back. He decides to look back rather than forward. 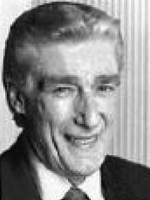 I will always remember Richard Mulligan as Burt on "Soap." I wasn't aware that he did any of these radio dramas until I heard his name mentioned on this episode. I'm looking for an episode about a couple that stays at a bed and breakfast inn. They are well fed and later learn other guest were killed by the innkeepers who are canibals. What is the name and date? You may be thinking of The Summer People. There are mixed reviews on "You can die again", but I really enjoyed it- twice. It was one of the few I enjoyed hearing twice, after knowing all the facts. The overall concept really appeals to me, because to me, Crossroads in life, crossroads, are the most vexing most frustrating part of life. It's so unfair that we can't have another shot at that crossroads just one more time. Anyone who grows old and has no regrets over a Crossroads decision is truly lucky and blessed. Two people did "die again." The title isn't referring to just the murder of his wife, Margaret, but the murder of his dreams. Happened twice, once 20 years earlier, and now when he killed his wife, which inadvertently kills Peggy. And Peggy/Margaret did die twice, in the same way. The spirit of her died 20 years earlier when she lost the idealism she shared with her husband and she physically died at the hand of her husband. A life stolen by another persons will and wants. How unfair. Happens everyday. Every newlywed should listen to this story. No one has the right to steal the life of another. What a selfish jerk the husband is, lol! First, (in the distant past), he lies to his wife and tells her he "understands" when her father is ill and needs care. He pretends not to mind taking over the business to help out, and then he harbors a deep grudge against her about it for years and years, simply because they didn't go on a trip to Tibet that they had been planning before her father got sick. Sometimes this is how life happens, so that part is realistic. But none of this was the wife's fault, yet he blamed and resented her for it. He acted like some adolescent teenager instead of an adult man who realizes that life's dramas are not always anybody's fault. Boy, I sure wouldn't want a husband like that! As for Peggy, she is so childish! How could he expect his adult wife to never grow up and become a more serious, mature woman? Sometimes her attitude isn't so great, but I imagine it's because she has a lot of resentments toward him, since he is so selfish all the time. So it's not surprising that she has a lot of resentments. Also, since he pretends so much, how could she possibly know what he really wants or what he's really thinking? He has no right to be mad at his wife for not being psychic, (not to mention murdering her). I don't think he was right in the head. 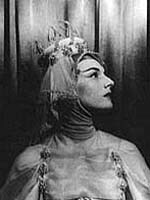 Any episode with marian seldes is a winner. 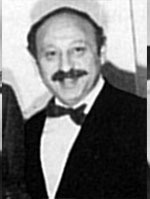 And how about radio veteran mandel kramer, “yours truly johnny dollar”!